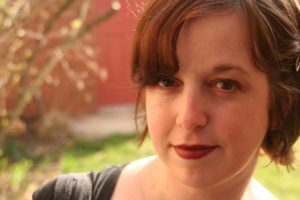 After a year-long process, the editors of Moon City Press are gloriously thrilled to announce the winner of their 2018 Moon City Short Fiction Award: Amanda Marbais of Chicago, Illinois, for her entry, Impossible Faults. After being a runner-up in last year’s contest, she has won the top prize: publication with Moon City Press and $1,000. Impossible Faults will be published this coming spring and debut at the 2019 AWP Conference in Portland. Submissions for the 2019 Moon City Short Fiction Award are currently open. The deadline has been extended to November 1, 2018, which will be the final deadline. You can find more information or submit an entry by visiting https://mooncitypress.submittable.com/submit. We thank everyone who entered this competition, everyone who has read our books, and all the authors working hard to make their art. We at MCP enjoy being part of the literary landscape and hope to continue in this role for many years to come!